Google Inbox is shutting down, and Gmail doesn’t sort your emails by the date the way Inbox did. Happily, you can re-create the feature yourself with a little bit of hackery. 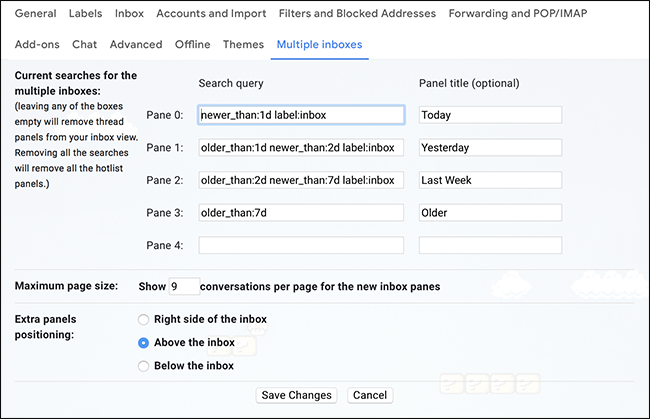 Blogger Jeff Atwood was complaining on Twitter about potentially missing Inbox’s automatic date grouping, which doesn’t exist in Gmail. Jerome Leclanche pointed out that you can make something similar in Gmail. 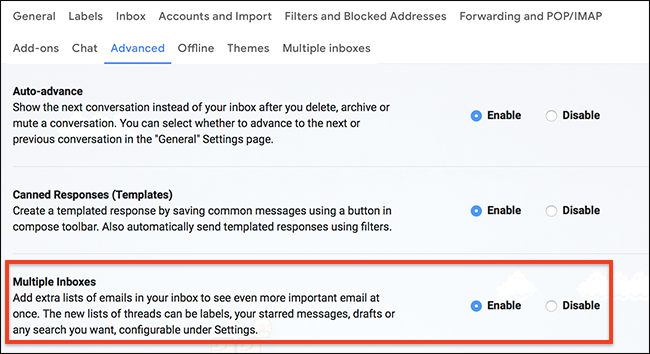 This is a great trick that solves the issue entirely using Gmail’s multiple inboxes feature. It’s a little confusing to set up, though, so let’s dive in. Gmail’s Multiple Inboxes feature will not show up if your Inbox isn’t configured correctly, so let’s change that first. 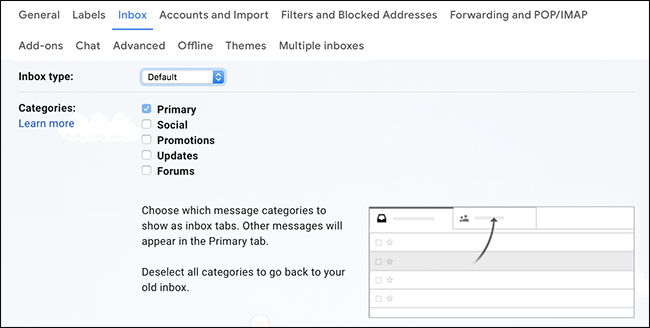 Open your Gmail settings. Click “Save Changes” when you’re done, and Gmail will reload. Next, we’ll enable the Multiple Inboxes feature. 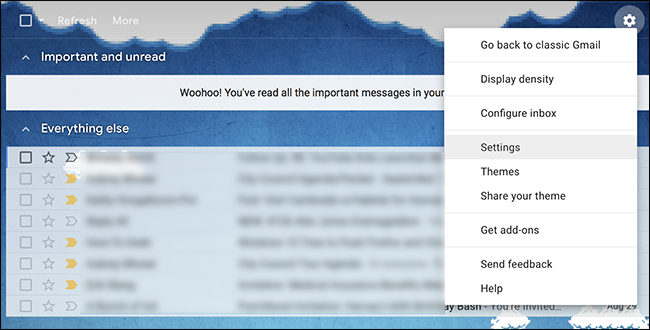 Head to the “Advanced” tab and ensure that “Multiple Inboxes” is enabled. Click “Save Changes” when you’re done, and Gmail will reload…again. Only one more time, I swear. Once Gmail reloads, you should see a new “Multiple Inboxes” tab on the Settings page. Click that, and you can set up your inboxes sorted by date. 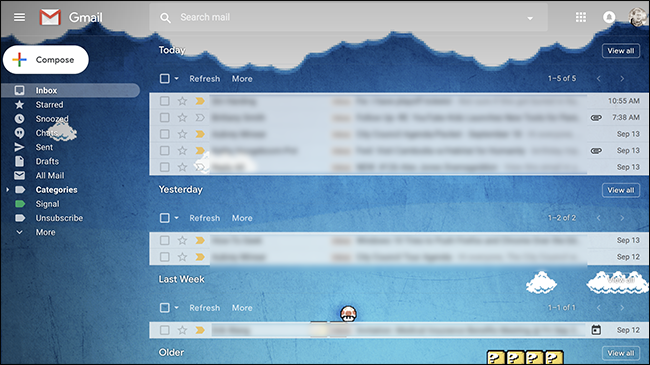 I wanted only to see emails currently in my inbox, so I added label:inboxto every query. Here’s a list of supported search operators, if you’d like to customize things further. Not bad, right? These inboxes take a few seconds to fill in after you load Gmail, but aside from that, it works pretty much as the feature did in Google Inbox. It also nicely replicates the way Outlook sorts things by default. And you don’t have to use this feature just to sort by date! You can create custom inboxes for just about anything.